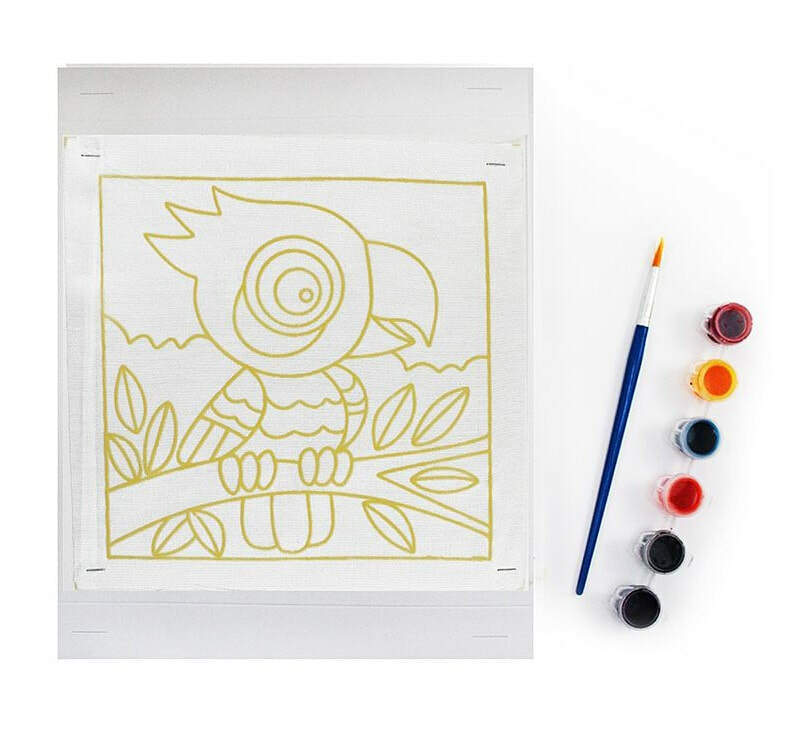 ​Churn out mini Batik artists right at home - complete with batik colour dyes and brush, kids will have fun toning, mixing and matching colours and painting it on the design. Frame up their finished craft and proudly hang on walls! You may choose from our extensive, beautifully pre-painted 36 Malaysian-themed designs. 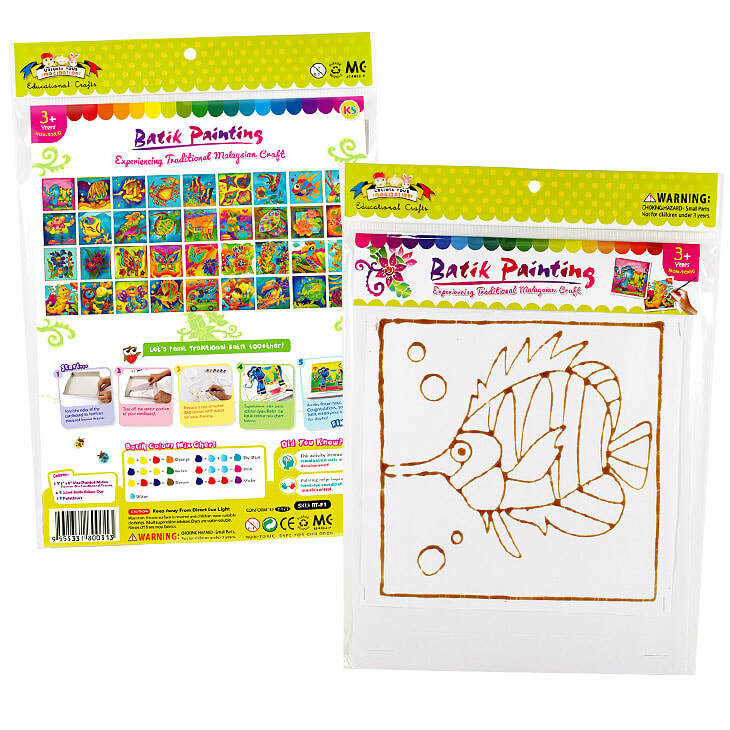 The apparent ease and guaranteed beautiful results have made Batik painting as one of our top selling crafts of all time. 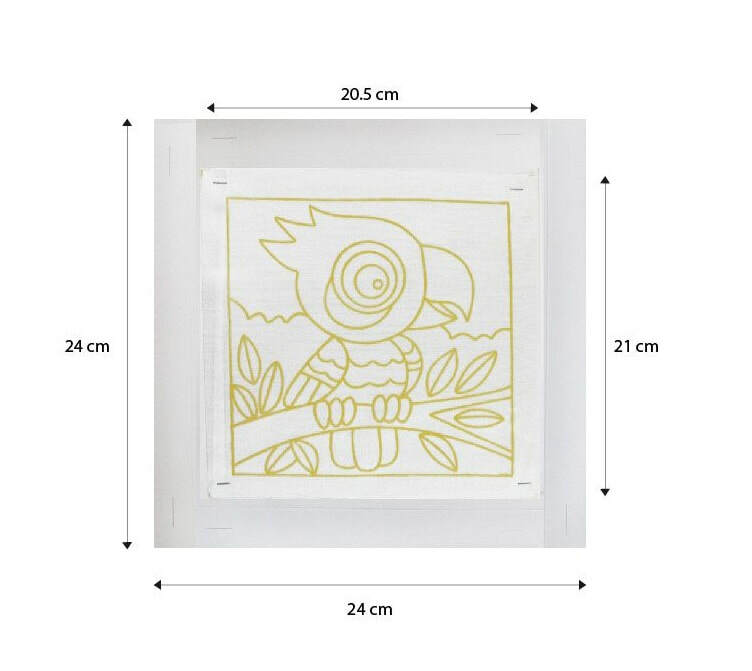 The batik canvases are square sized at 8" x 8" (21cm x 21cm), individually mounted on cardboard frame that also acts as an elevated painting surface.